WE'RE super excited to announce that The Lake Poets will be performing a FREE gig on Saturday 24th of JUNE with talented supports in the form of Jake Houlsby and John Newell Brown! 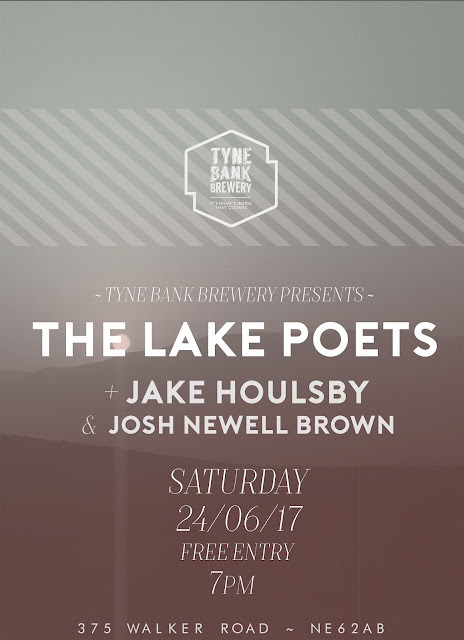 The Lake Poets is Martin Longstaff, a multi-instrumentalist and songwriter from Sunderland. Inspired by artists such as Elvis Perkins, Carole King, Villagers, Feist, Van Morrison, Fionn Regan, John Martyn, Wilco, Damien Rice, Bright Eyes, and Neil Young, Martin’s output as The Lake Poets is as haunting as it is beautiful. Described as ‘Quietly Devastating’, ‘Accomplished and Intelligent and 'Spellbinding and Heart-breaking, Martin’s music regularly silences audiences and turns heads. Lead single 'Your Face’ has received over 4 million Spotify plays as well steady daytime airplay on BBC Radio 2, Radio X, and BBC 6 Music. The Lake Poets’ self-titled debut album was recorded at Blackbird Studio, Nashville and is out now on CD, as well as special edition double gatefold 12" vinyl including a bonus Live recording of the album recorded over two sold out launch nights in Martin’s hometown medieval Minster and mixed at Peter Gabriel’s Real World Studio.